Cadence Weapon returns to let us know he's still here like Joaquin, with his mixtape that aims to steal the thunder from Jeff Bridges' CGI-ed wrinkle-free face. 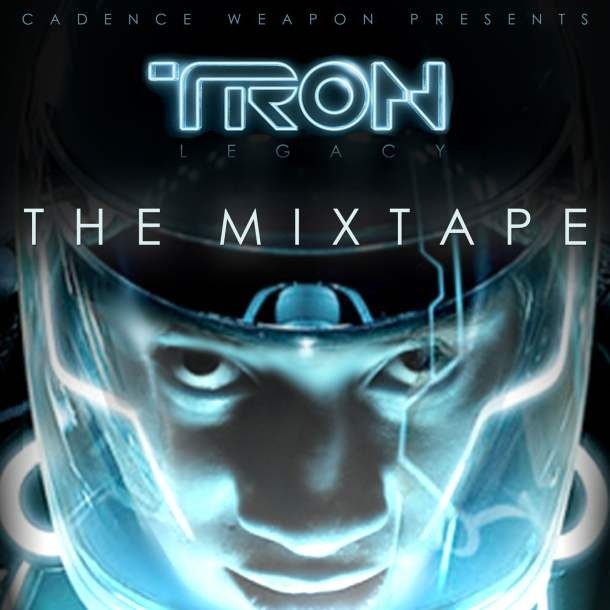 Tron Legacy: The Mixtape is 18 loose ends of mixtape nostalgia as Cadence applies the traditional format, instead of the current semi-album trend, by busting his raps over Sleigh Bells, The Arcade Fire, Madlib, Swizz Beats' “On To The Next,” Gucci Mane's “Lemonade” (can rappers stop already? ), and a beat that cuts up Crosby Stills and Nash's “Suite: Judy Blue Eyes”, to name a few. The mixtape features rap verses from Buck 65, Bidapres, Giovanni Marks, Derek from Northcliffe, The Joe, Mitchmatic, Mikey Maybe and Shad, who does a solid Slick Rick impression on “Baby I'm Yours”. Even though it's high time Cadence Weapon break us off with a new record, Tron Legacy: The Mixtape is a fun listen that can be heard simply by naming your price at his website.